Antique clocks have been an important part of my life for as long as I can remember. My grandfather, Ernest P. Petrucelli was a cabinetmaker and had a passion for clocks. I grew up in NYC and lived around the corner from him and as you can imagine spent many hours watching him at work in his shop. I learned how to “French” polish furniture when I was 7 years old ! By age 10, I acquired my first clock which I rescued from the curb on trash day. Since then, it’s been a lifelong journey of study, acquisition, conservation, collecting, buying & selling. 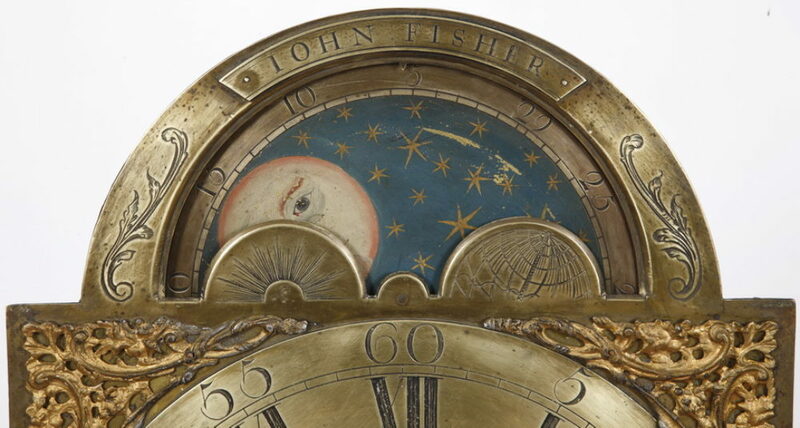 Our primary focus and area of expertise is in Early American 18th & 19th Century clocks: All items listed on this Web Site are available for purchase as we remove and archive items that have been sold. The Web site is just a sampling of our inventory as we have many additional clocks available. Our company was first established in Chestnut Hill, MA, by Adams & Brown. Edwin B. Burt, the last apprentice-trained dial painter at the Waltham Watch Factory, bought the company and moved it to Auburndale. Afterward, Burt’s son Herschel took over, moving the shop to its current location and running it until the 1970s. In addition to buying and selling antique clocks, we also offer several horological books for sale. In fact, we’re the country’s oldest horological bookseller. Our books allow collectors to brush up on their knowledge of timepieces or give novices their first introduction to the intriguing history of clock design and mechanics. At our company, we’ve been buying and selling antique clocks and books for decades. Long before there was the internet, we ran a benefit auction for the Cranbury Lions Club for many years, selling thousands of clocks in the process. Adams Brown Company is the country’s oldest horological bookseller, we have a selection of books that delve into the rich history of the clocks of early America and beyond. Many are filled with full-color images that allow you to see the vibrancy and true art that went into the craft of clock-making. No matter what your current knowledge of horology may be, we have a book for you. Talk to our team to get recommendations. Contact us to learn more about our company or our clocks. 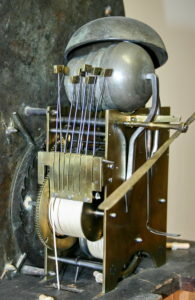 We are based in Cranbury, NJ, but serve clock enthusiasts throughout the country. If the time comes when you are thinking about selling your collection in whole or part, please keep us in mind.